Cape Town - Stormers centre Juan de Jongh says the team will be focused on achieving successful results during their Super Rugby tour in Australasia. The Stormers last qualified for the Super Rugby playoffs in 2012, when they finished on top of the overall standings. In 2011, they achieved another successful league campaign as they finished second on the combined table. The notable difference during these campaigns compared to their 2013 and 2014 seasons, when they failed to make the playoffs, are their results on tour. In 2011 and 2012, the Stormers did well, winning three of their four fixtures in Australia and New Zealand during both tournaments. This put them in the position to claim a spot at the top of the standings. In 2013 and 2014, the Cape Town team struggled, only managing one win from four games during both tours. 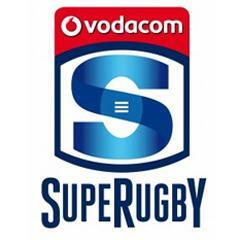 This year, the Stormers will face the Highlanders (March 28), Hurricanes (April 3), Waratahs (April 11) and Force (April 18). De Jongh said the players are looking to bounce back ahead of their next game in Dunedin, especially after their bye last week. “We enjoyed a great start to Super Rugby, and it’s important for us to continue that momentum on tour,” De Jongh told MyPlayers.co.za. 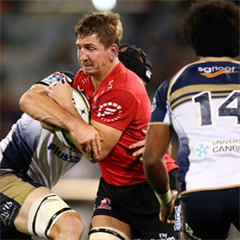 “For many of the young players, it’s their first time travelling overseas during Super Rugby, so hopefully they can learn to adapt to the time differences and foreign conditions. De Jongh will also captain the Stormers this Saturday, with regular captain Duane Vermeulen rested.